A herniated disc in the neck is the second most common location for bulging intervertebral disc pathologies to occur in the spinal anatomy. While not nearly as commonplace as intervertebral herniations in the lumbar spine, cervical herniated discs are still incredibly commonplace and frequently demonstrated at multiple levels in the neck region. Most herniations occur in the mid to lower cervical levels and at the cervicothoracic frontier. Due to the shape and curvature of the cervical spine, herniations here are likely to touch the thecal sac and may even displace or compress the actual spinal cord, particularly when they are central or posterolateral in nature. Meanwhile, due to the small neuroforaminal spaces, cervical herniations are more likely to come into contact with exiting nerve roots, particular if they are posterolateral, foraminal or far lateral in nature. This dialog provides a detailed overview of cervical spinal intervertebral prolapse conditions. Research clearly shows that cervical herniations are widespread and almost commonplace in adults. They are most often seen at C4/5, C5/6, C6/7 and C7/T1. 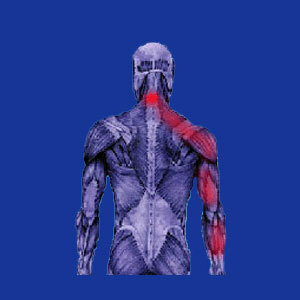 However, there is little evidence linking most herniations to the occurrence of neck pain. This is supported by countless studies which show that patients may heave severe pain with or without possible contributing disc issues. Additionally, many patients with startlingly severe herniations have no pain or neurological symptoms whatsoever. It is for this very reason that recent changes to diagnostic protocol have cautioned doctors not to assume disc pathologies found during imaging studies are the causes of any symptoms. Statistically, cervical herniations are not pathological in most instances. Most herniations do not cause symptoms and therefore do not require any specialized treatment. In cases of severe herniations, regular monitoring is suggested, just to be sure that the disc will not begin to definitively place pressure on a sensitive neurological structure, possibly enacting spinal stenosis or foraminal stenosis in the process. For extreme disc issues which are judged to be definitive sources of suffering, treatment may be indicated and even necessary. Conservative care is unlikely to bring about a cure, but may manage the symptoms without risking more drastic and possibly invasive methods. The most common conservative practices include physical therapy, chiropractic and drugs for pain management. Intermediate modalities include epidural injections and spinal decompression. Meanwhile, surgical treatments range from minimally invasive laser discectomies to traditional laminectomies to disc replacement and drastic spinal fusion. Herniated discs were once thought to be universally painful and problematic. Although some can be and truly are, the majority are harmless, asymptomatic and coincidental to any symptoms endured. This has been decisively proven. However, a huge number of intervertebral irregularities continue to be mistakenly implicated in creating pain syndromes by care providers who are either out of touch with the latest diagnostic information or who purposefully ignore newer and more enlightened facts to perpetuate highly profitable treatments. We hate to say it, but in many cases, the latter explanation is the most valid. I have every single disc in my neck herniated for many years now. 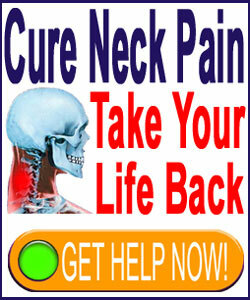 I spent decades without any lasting pain there, but over the past few years, symptoms have begun to really affect me. While not definitively from the discs, I do feel that the structural issues are severe enough to be certain contributors to the symptomatic expression. In my case, the symptoms include some degree of neck pain, but mostly lots of stiffness, radiating perceptions of heat, occasional headaches, sciatica and decreased dexterity with the hands. I have lived with these issues for years already and try not to worry too much about them. There is one particular disc which is largely displacing the spinal cord and causing moderate stenotic change. This is the one which I am most concerned about, so I re-evaluate it regularly with the help of my trusted neurologist. Other than that, I seek no treatment whatsoever for the symptoms and feel this is the best path compared to the risk offered by most accepted medical approaches to care.